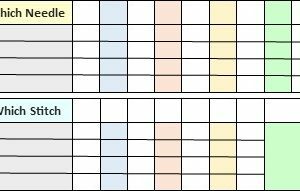 Print your own Quilt Finishing Checklist! 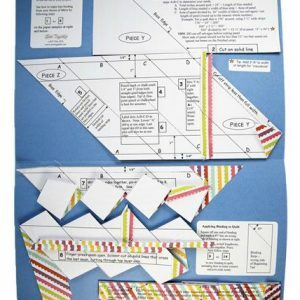 Use your color printer to print-your-own Quilt Finishing Checklist and Worksheet–make several copies and keep one with each quilt project! Print on letter-size paper. 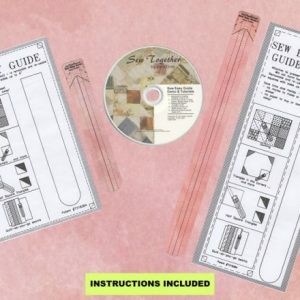 Easily track the final steps in finishing your quilts! Trying to note and figure the final steps of my quilt projects was a haphazard effort until I created a visual, organized checklist of those steps—now, a glance at my checklist lets me know exactly what is left to be done. It is SO much easier to refer to a one-page summary of what needs to be done, rather than to sort through the fabric pieces in the project box, trying to remember again which fabric was for backing and which for binding —was it the same or different (especially hard to determine on a small project where the backing and binding use about the same amount of yardage). 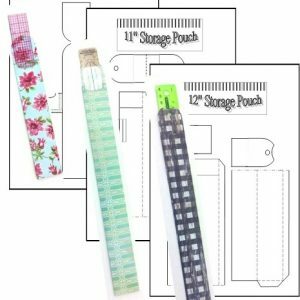 Is the backing and/or batting large and being stored somewhere separate? 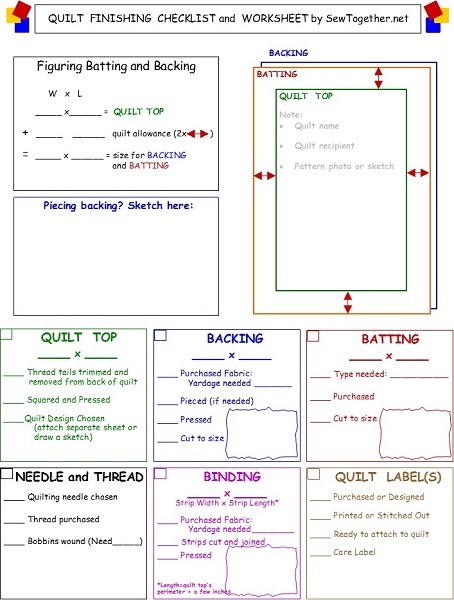 Note it all easily on the Quilt Finishing Checklist and Worksheet. Especially useful if you do custom projects and/or have multiple projects in progress. 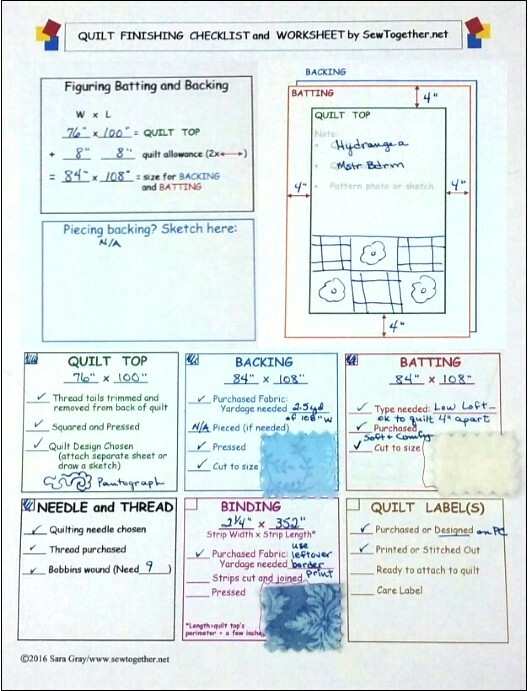 Backing and Batting—size and type, etc. Optional: Can be used in whole or in part as a record/reference, even after your project is done.